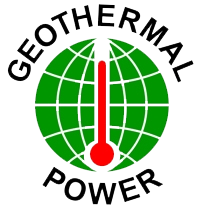 Geothermal energy (from the Greek roots geo, meaning earth, and thermos, meaning heat) is power extracted from heat stored in the earth. This geothermal energy originates from the original formation of the planet, from radioactive decay of minerals, from volcanic activity and from solar energy absorbed at the surface. It has been used for bathing since Paleolithic times and for space heating since ancient Roman times, but is now better known for generating electricity. Worldwide, about 10,715 megawatts (MW) of geothermal power is online in 24 countries. An additional 28 gigawatts of direct geothermal heating capacity is installed for district heating, space heating, spas, industrial processes, desalination and agricultural applications. At the end of 2009, worldwide nameplate capacity of wind-powered generators was 159.2 gigawatts (GW). Energy production was 340 TWh, which is about 2% of worldwide electricity usage; and has doubled in the past three years. Several countries have achieved relatively high levels of wind power penetration (with large governmental subsidies), such as 20% of stationary electricity production in Denmark, 14% in Ireland and Portugal, 11% in Spain, and 8% in Germany in 2009. As of May 2009, 80 countries around the world are using wind power on a commercial basis.